Now this has been buzzing about our ear space for pretty much most of the week, I’m not even going to venture or guess as to what’s in their medicine bag but one things for certain they certainly know their way around the concocting of wildly freakish specimens of the psychedelic tropicalia species. 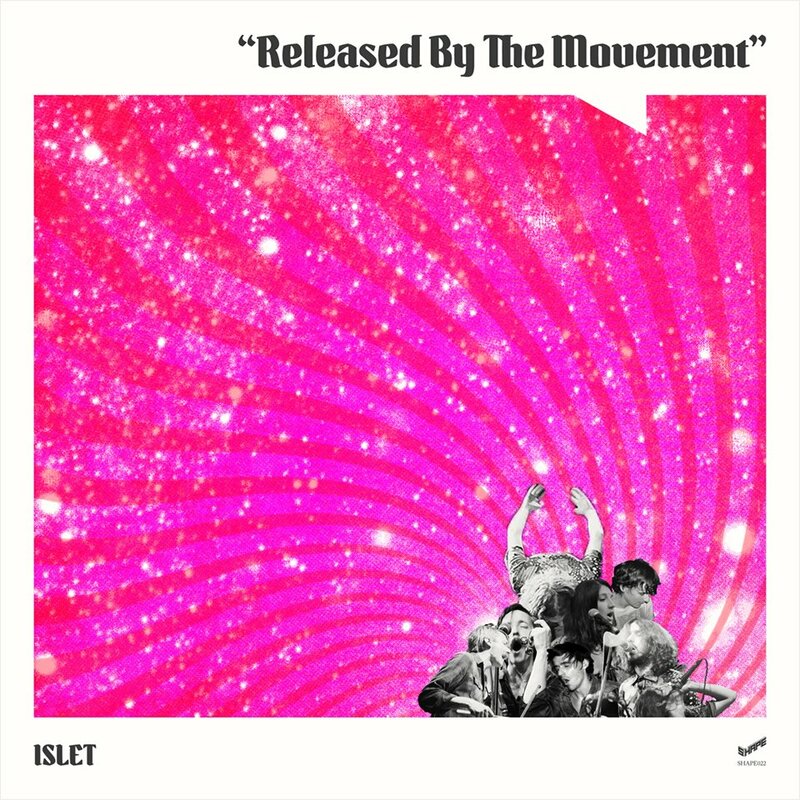 ‘Released by the Movement’ is the second full length from Cardiff’s most impish souls Islet. They delight in the strange, the alluring, the fractured and the fried, across the eleven tracks captured here they apply a melodic maximus whose reference radar is as wide and varied as the cross weaving generic warping they apply to their sounds. Here you’ll be greeted to the crooked calypso carnival that is the wildly skittish ‘Triangulation Station’ wrapped in falsettos and a zig zagging beat gouged art pop persona wherein its curiously ad hoc dislocated funk freaked nature coos one suspects to a listening love mainly comprised of the early back catalogue of the Sparks. ‘Tripping Through The Blue Room’ here split into two parts acts as the albums centre piece, ‘Part 1’ very much voyaging towards Panda Bear environs while ‘Part 2’ is momentarily dinked in the kind of serene cosmicalia that’s suggests a chilled celestial afterburn of an idyllic hideaway lazing sultrily bathed beneath the glow of an alien twin sunset. Elsewhere there’s the lo-fi lunar pop fuzziness of the outer worldly and goofy ‘Citrus Peel’ as it grinds and whirrs within a slightly dislocated bubble groove mantra as though a Hot Chipped Go Team. Like some b-movie styled slab of sonic genetic engineering ‘Carlos’ is awash in dissolving dream raptures courted by tripping twang motifs harnessed upon strut gouged frenetic angular white funk forays all of which had us recalling at various points Dawn of the Replicants. For us the sets best moment comes with the arrival of the deliciously skewiff ‘Mirror Me’ a wiring stew of Krautian mantras twisted and frazzled by the subtle steel of math grooves which when combined give it an air of something found simmering on a late 70’s back burner, very strange and very irregular. Out via shape incidentally.